Conducted by DAVID ANGUS, Directed by ANNE BOGART, Scenic & Costume Design by JAMES SCHUETTE, Lighting Design by BRIAN SCOTT, Sound Design by J JUMBELIC, Video Design by ADAM J. THOMPSON, and Movement Director SHURA BARYSHNIKOV. The Handmaid’s Tale was written by composer Poul Ruders and librettist Paul Bentley in English, based on Atwood’s canonical novel, but had its World Premiere in a translation by the composer at the Royal Danish Opera, Copenhagen, on March 6, 2000. The production then transferred to English National Opera in 2003, marking its English-language premiere. BLO’s production will be only the third time the work has been produced by a major North American company. The first was Minnesota Opera’s U.S. premiere in 2003, and in 2004 the Danish Royal Opera production transferred to Toronto, Canada—Atwood’s hometown. The Handmaid’s Tale is an epic undertaking. For our production, BLO has commissioned Ruders to create a new edition of the opera, bringing our expected orchestra size to approximately 65 players, with a chorus of about 34 singers. “What inspired The Handmaid’s Tale?” I’ve often been asked. General observation, I might have said. Poking my nose into books. Reading newspapers. World history. One of my rules was that I couldn’t put anything into the novel that human beings hadn’t actually done. So there is a special resonance as BLO brings the opera to life through an installation at the Lavietes Pavilion at Harvard University. Now a basketball stadium, Lavietes first opened in 1926 as the Briggs Center (a.k.a. 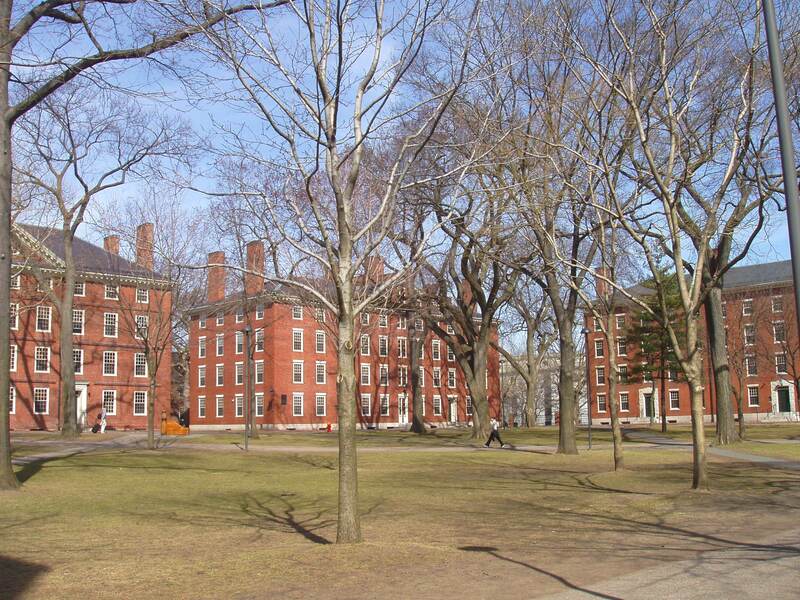 the “Briggs Cage”) and housed Harvard’s indoor track teams. Basketball became the center’s main sport in the early 1980s, and the building went through a recent extensive renovation, reopening in 2017. Anne Bogart will join the BLO creative team at the helm of The Handmaid’s Tale, as stage director. A renowned theater and opera director, Bogart co-founded the SITI Company in Saratoga Springs, NY, with director Tadashi Suzuki in 1992. She is well-known for developing the Viewpoints Method, based on the work of choreographer Mary Overlie in the 1970s. Rather than beginning with emotions or personal memories (as in “Method Acting” or Stanislavsky-based acting approaches), Viewpoints is a movement-based technique that trains actors to find truthful characters and emotion through gestures, physical awareness and surroundings, and improvisation. Bogart’s theories are widely regarded and taught in conservatories throughout the country; she herself teaches at Columbia University. 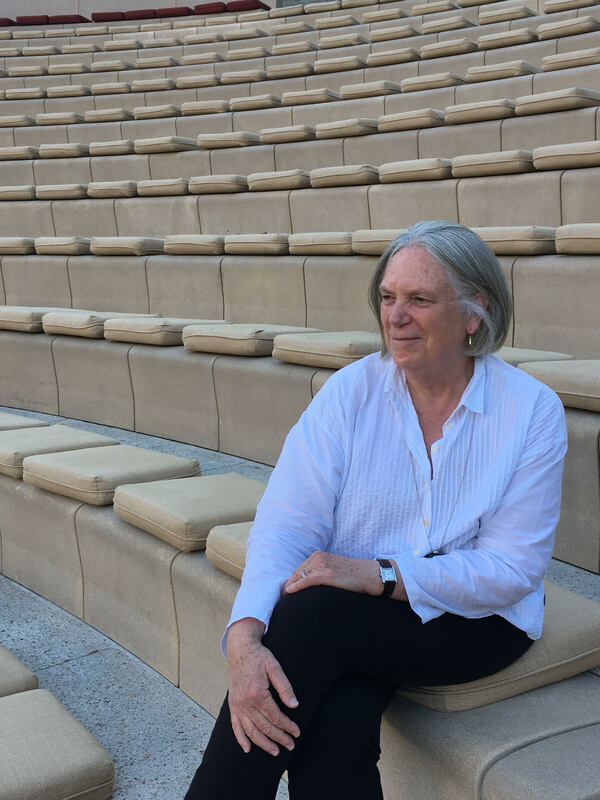 In addition to her work at dozens of top theaters, she has directed operas at Washington National Opera, Glimmerglass Opera, Los Angeles Opera, and more. The Salem witch trials were not of solely academic concern to Atwood; she is also believed to be a descendant of Mary Webster, a Puritan of Hadley, MA, who was tried as a witch in 1675 and later hanged and left for dead by fellow townspeople. Webster survived, however, and Atwood dedicated The Handmaid’s Tale to her as well as to Perry Miller, a scholar of American Puritanism who was Atwood’s mentor at Harvard. Poul Ruders is known as perhaps the most successful Danish composer of the postwar era, incorporating a wide variety of musical styles from jazz to Medieval music, minimalism to chant, into his music. 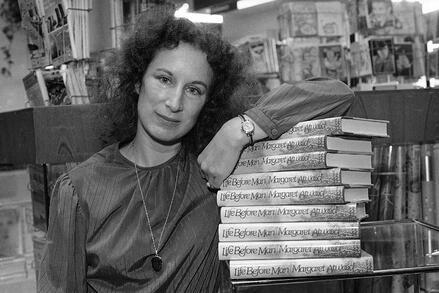 Images (top to bottom): Margaret Atwood (circa 1980) Academy of Canadian Cinema & Television; Harvard Yard, Harvard University, Daderot, GFDL; Anne Bogart, photo by Nana Dakin.